The Schengen region comprises of 26 nations that have consented to permit free movement of their nationals within this area. 22 of these countries belong to the EU while the rest of the four nations are part of the EFTA. This area includes most of the European countries. To gain entry into the Schengen region, non-Schengen member nations are supposed to carry the Schengen visa. There are certain exceptions to this rule, which do not need to hold a Schengen visa. This visa is essentially a tourist or visitor visa. Uniform Schengen Visas (USV) – This visa allows you to transit or lives in one of the Schengen member countries for up to 90 days per six-month period from the date of arrival. Based on the reason for the travel, the USV applies to all the three categories-A’A’’, ‘’B’’ and ‘’C’’. 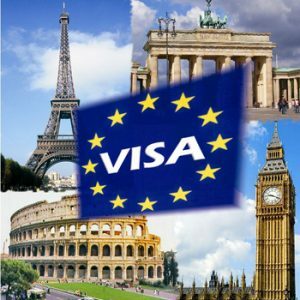 Limited Territorial Validity Visas (LTV) – This visa permits you to travel to the Schengen member state that has issued this visa and in certain cases some other mentioned countries. Except for these countries, it is not valid for any other Schengen country. National Visas – This visa belongs to category ‘’D’’ it is awarded to those individuals who study, work or live on a permanent basis in one of the Schengen nations. Depending upon the purpose or nature of your travel, you can obtain a Schengen visa. To possess the Schengen visa for Indians, an Indian national must meet certain eligibility requirement as well. He or she is advised to apply at the Embassy or Consulate of the country where they are willing to stay for the most of their visit. A travel medical insurance policy amounting up to 30,000 Euros.